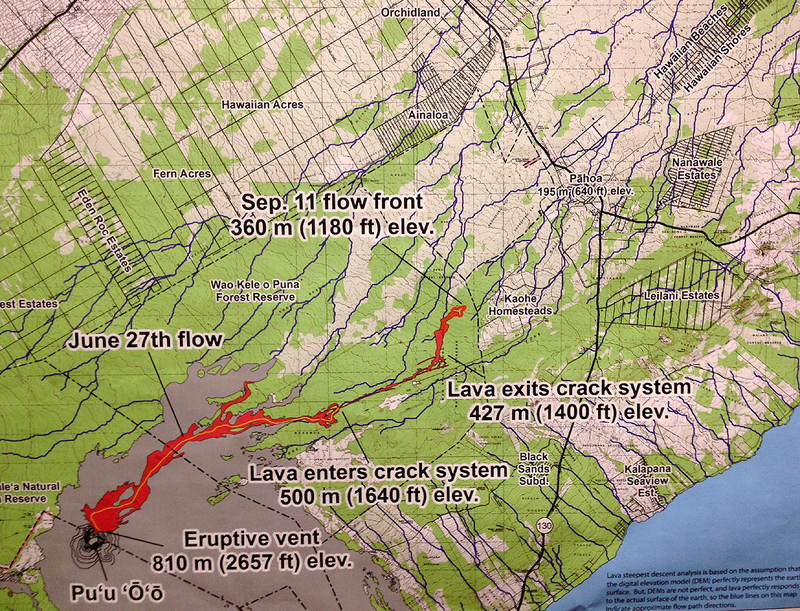 The latest projection shows lava crashing into Pahoa town in a worst-case scenario. 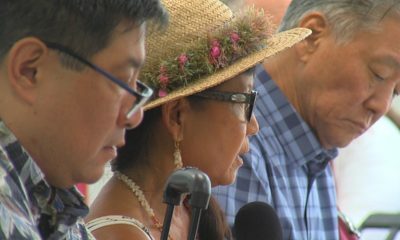 (ABOVE VIDEO) USGS Scientists Jim Kauahikaua and Matt Patrick present the latest info to the public. 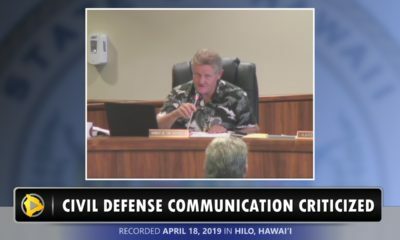 PAHOA, Hawaii – Spirits were crushed on Thursday night as an updated projection shows lava from the June 27 flow crashing into Pahoa town. 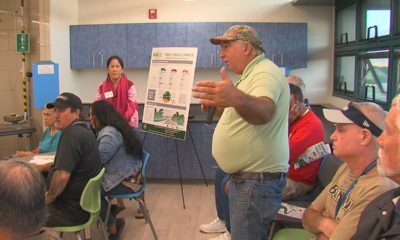 USGS Hawaiian Volcano Observatory Scientists presented the latest information during a public meeting at Pahoa High School, and the probable lava course doesn’t look good for the Puna village. An overflight yesterday afternoon observed that the flow front had shifted towards a more northeast direction, bringing it closer to the western boundary of Kaohe Homesteads, USGS reported. 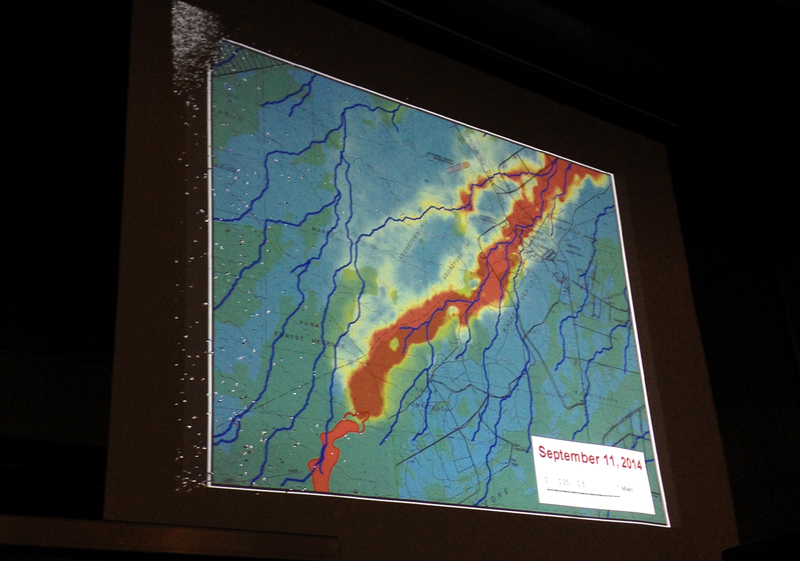 At Tuesday’s public meeting, scientists produced an image that projected the greatest probabilities of how the flow might move downhill, taking into account topography but also possible human mapping errors that could alter the forecasted direction. 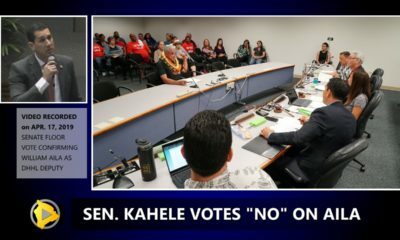 The result was two leading scenarios: a northern branch that bypasses the heart of Pahoa, and a southern branch that flows right through the town; the worst case scenario. 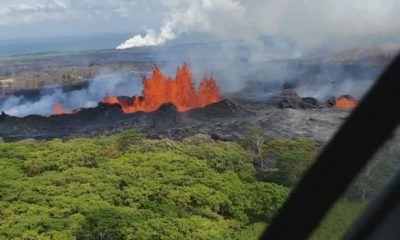 On Thursday night, using new data and the lava flow’s current location a little further northeast, the two scenarios have coalesced into one. Its the worst-case scenario; the southern route through town. The crowd – possibly numbering a thousand – seemed suddenly deflated, as if all hope had been lost. We will have more from this meeting shortly. 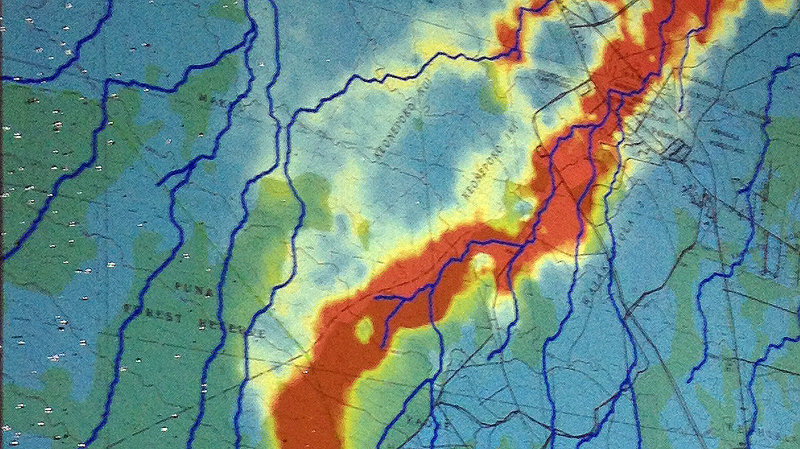 The Sept. 11 USGS HVO lava flow map. 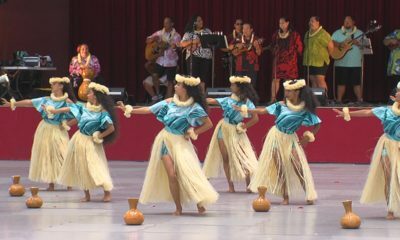 This was photographed by Big Island Video News and is not a digital copy of the full map. Some cropping has occurred.